Wells Fargo needed to expand its Private Client Services department located in their existing building in the heart of the Silicon Valley. The Private Client Services division interfaces with only the wealthiest clients and tailors its products and services to meet the special needs of their clientele. To expand the facility, a vacant law office needed to be integrated with the general office areas already in use by the group. The general working space of the division office area needed to be open and efficient, with a conference facility. 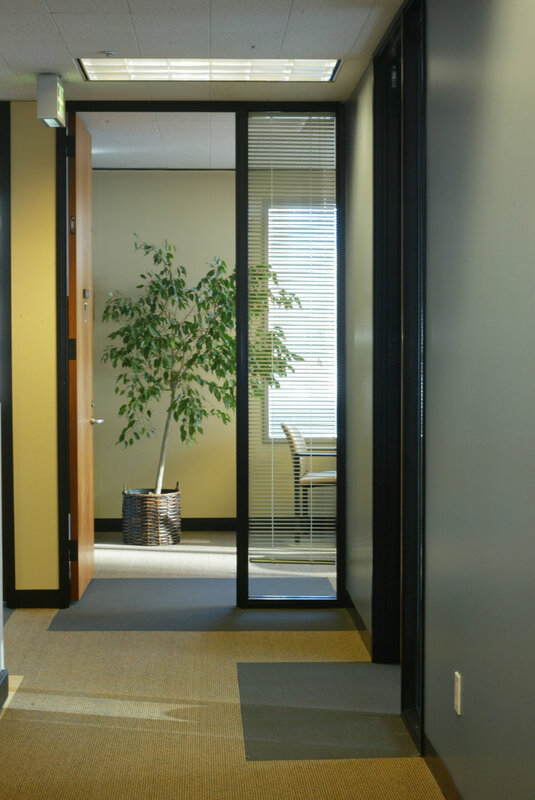 This area did not receive client visitors on a regular basis, but the newly integrated offices needed to have a welcoming entry area with controlled access. 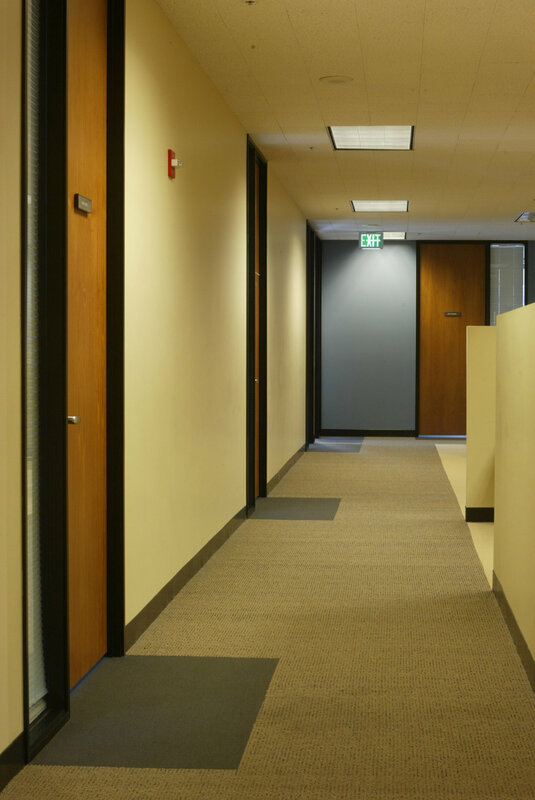 We were directed to use as much of the existing office partitions as possible to contain the cost of renovation. We opened up the central area of the office and developed an efficient and light filled area for the workstations. We assisted in the selection of finishes and designed a new entry portal. The finishes selected help integrate the newly captured space into the existing office areas of this division of Wells Fargo. The entry portal allows controlled access into this portion of the facility while creating a positive image for this special division of the bank. The finishes selected integrate the existing Wells Fargo color palette and the existing office suite adjacent to this new facility. By removing walls from the center, more natural light was brought deeper into the space, creating an open, light filled area.